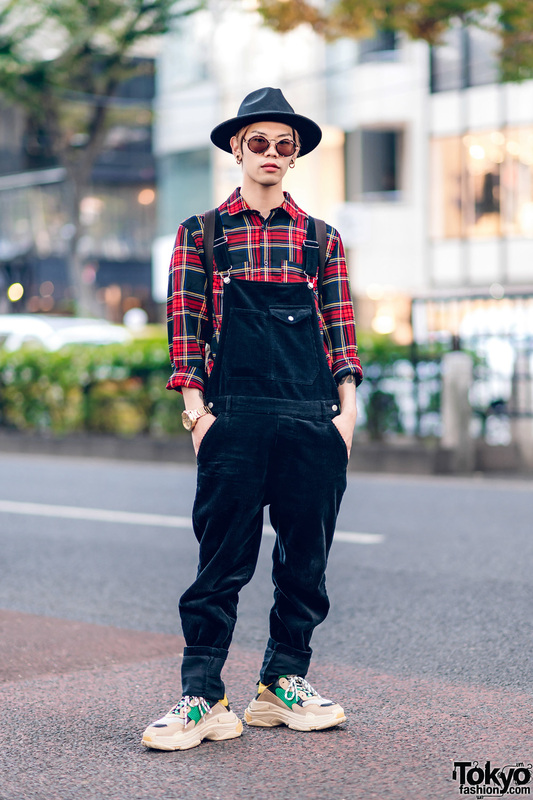 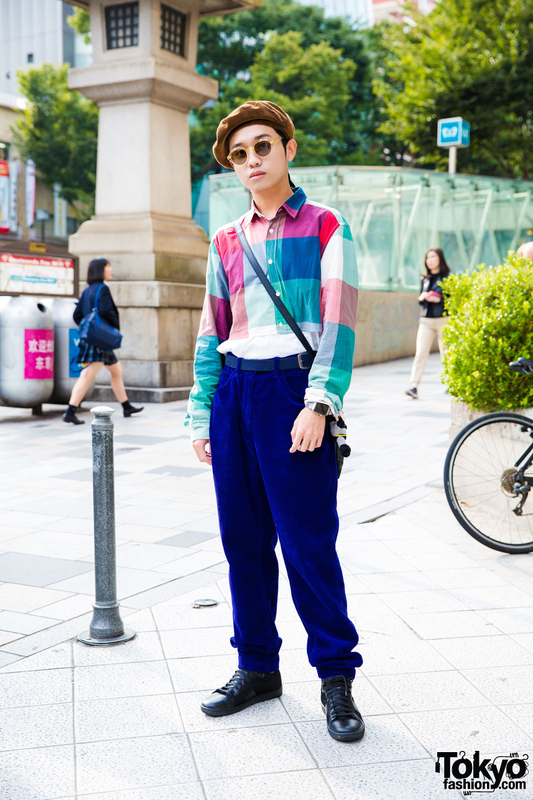 Harajuku guy dressed in a plaid shirt, black corduroy overalls, Balenciaga Triple S sneakers, a logo print backpack and accessories. 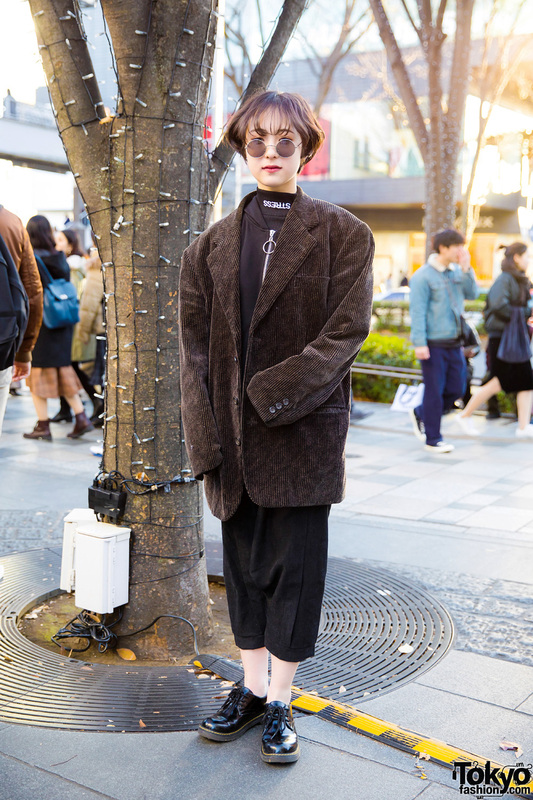 Harajuku girl in vintage all tan fashion style with off the shoulder denim bodycon dress, white socks, platform booties, a vintage LV handbag, a tan beret and a faux fur arm warmer. 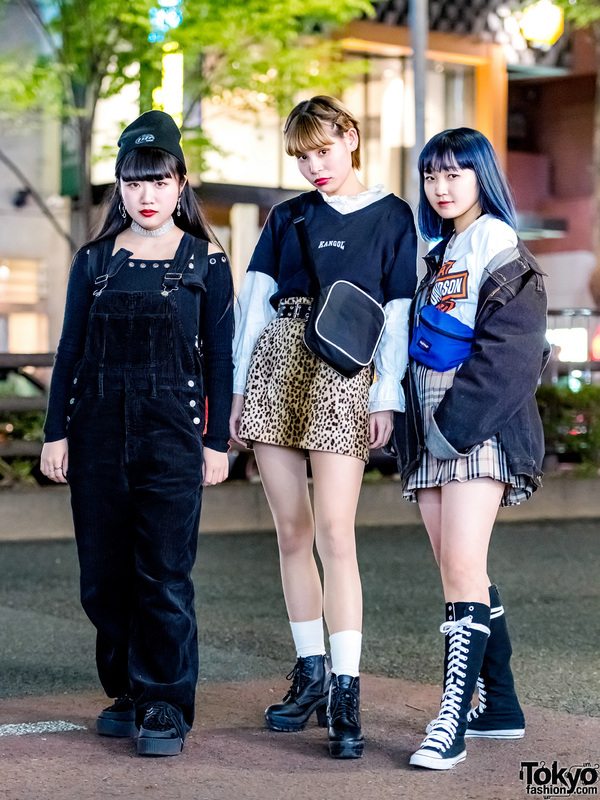 Harajuku girl in aqua oversized sweater, corduroy skirt, fishnets and knee high socks, platform creepers and tote bag.